Survivor is the Greek version of the popular reality "Survivor". This version of the show aired on Mega TV in Greece for two seasons from 2003 to 2004. While the series was titled "Survivor", it also took elements from Survivor's predecessor Expedition Robinson such as that of the North and South teams. While the series was not considered a flop in Greece is did not achieve the ratings that Mega TV had hoped for and at the end of its second season it was cancelled only to be brought back two years later for a joint season with Turkey. The prize for the first two seasons of the show was 200,000 euros and 250,000 for the third season. Greek Survivor followed the format of American Survivor, but there were some differences. In the Greek version, each season was called 'Series'. Unlike the American version that airs once a week, the Greek version aired two (season 1) to three (season 2) times a week in "cycles". In all season two there were nineteen, instead of the usual sixteen, contestants that were initially separated into tribes based on gender. Also, season two saw the debut of "Gkoal", which was an island where eliminated contestants would take part in a series of duel in order to earn a spot back in the game.When a player was forced out of the game due to sickness, he/she couldn't be a member of jury. In the event of a tie at Tribal Councils, contestants competed in a duel in order to determine who would be eliminated. As seen in season two, if jury members did not wish to cast a vote for a winner they were not required to. 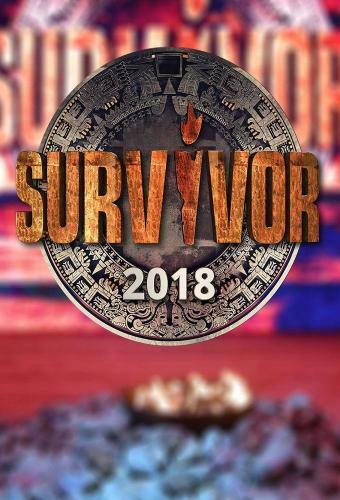 Survivor 4 is the upcoming 4th season of the Greek version of the popular reality show Survivor. The Game will aired on Skai TV at February 13, 2017. This season Sakis Tanimanidis is the host. It was also broadcast abroad via SKAI's international stations. 12 players and 12 celebritis have been known in Greece through their work are invited to survive on a deserted island, the exotic Dominican Republic, for weeks, having their luggage, the necessary clothes and basic food supply.